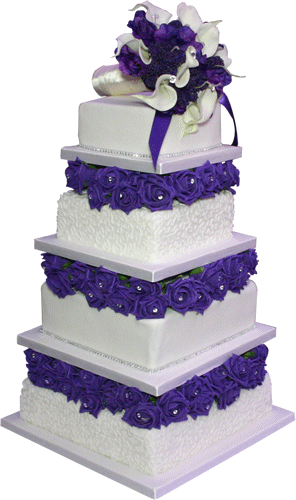 Purple rose 7 tier wedding cake was made for the newly wed couple who had a double ceremony which was both Western and Asian. The Bride and Groom celebrated their wedding in both a Hindu and Traditional style to ensure all the guests had the best of both worlds. Extra cutting cakes were provided with this unique wedding cake which catered for both religions. 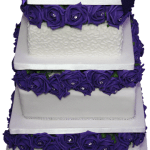 The purple rose cake is set on a 14 inch pre iced board and is made of of 4 cake tiers each of which is separated by a 2 inch tier with purple roses. The base tier and the third tier both have a cornelli design around them, while the top and third tier down are left plain and have diamante chain around the base of them. 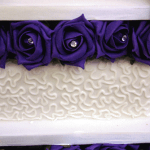 Each of the roses have a diamante in the centre. 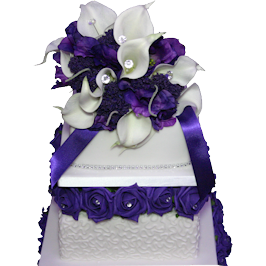 The cake displays silk purple rose and the calla lilies in contrasting white. 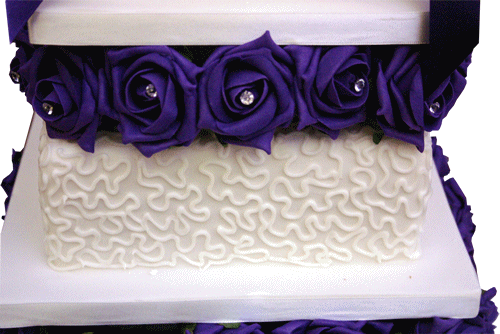 Each cake is set on a pre iced cake board which is the same size as the cake tier below it. The completed cake was placed in centre stage of the reception for everyone to see. 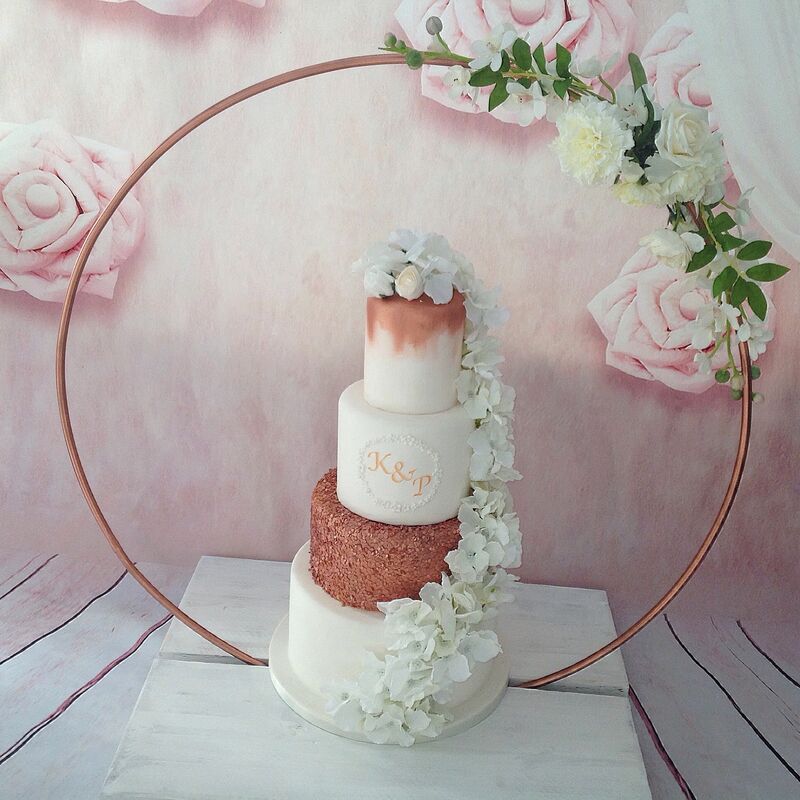 The Bride and Grooms choice of flavours for this cake were (Vanilla, Belgian chocolate, Coconut and lime, Fruit) We also provided 4 x 12 inch cutting cakes (Not included in the price) which also incorporated our Egg Free sponge. 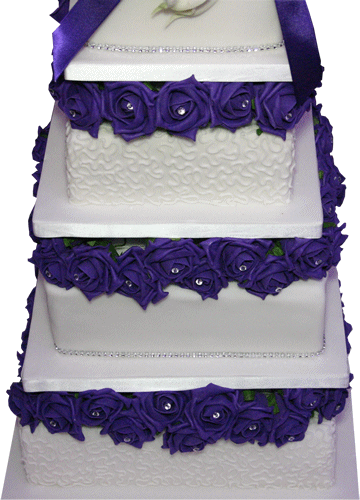 |The cake topper was provided by the Bride and Groom and matched in beautifully with the rest of the cake design. 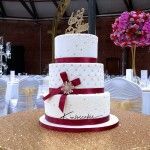 Every tier of this wedding cake was baked and decorated less then 48 hours prior to delivery and set up at their venue ( Goosedale, Nottingham ). 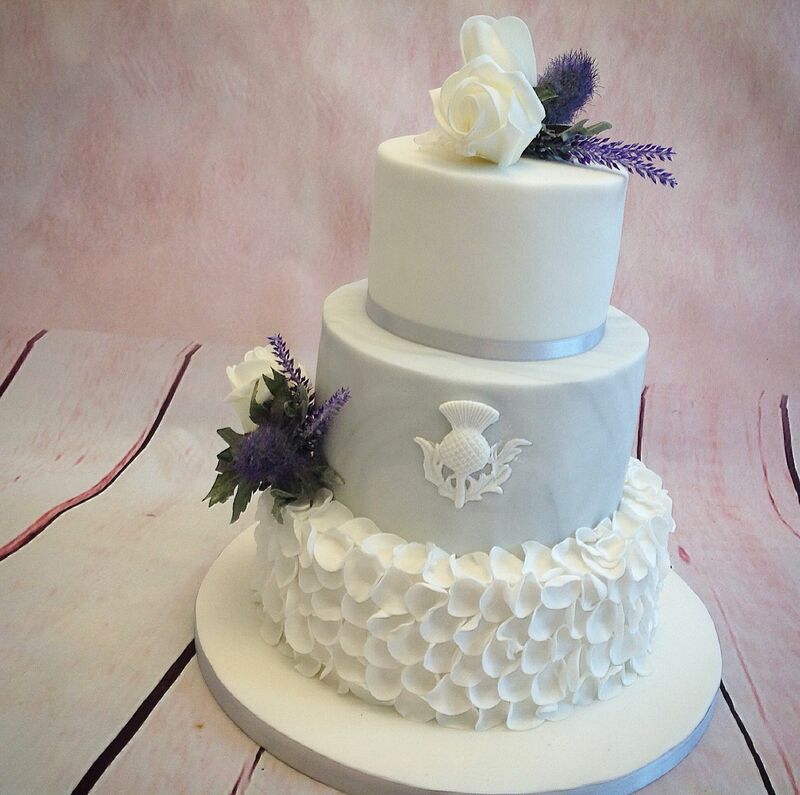 Delivery of this wedding cake was free for the local area. 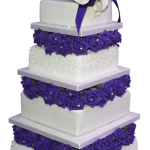 We deliver and set up all of our cakes at your chosen venue in person. There is free delivery within the immediate areas of Derby and Nottingham. All other areas will incur a nominal charge to cover fuel costs.